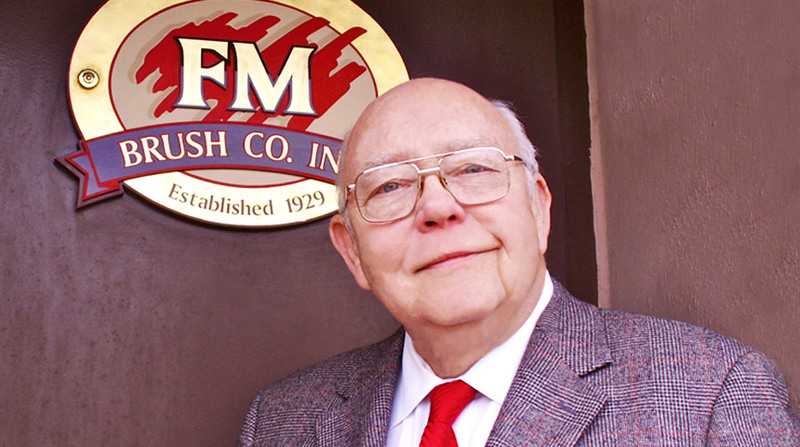 It’s with a heavy heart that the FM Brush Company announces the passing of our beloved C.E.O, Fredrick V. Mink Jr.
Frederick Mink began his career as a physicist, working as a lead scientist at NASA Goddard. After many years, Fred decided to come back to NY with his wife and kids in tow to join his father in the family brush business. Fred is 3rd generation of the Mink family to run the FM Brush Company working with his family to expand the Glendale facility and open our facility in Thailand in 1987. Fred combined his personal experience and his passion for brushes to create some of the most distinctive brushes on the market today. As a true Brush Maker Fred worked with independent artists interpreting their dreams into tools for their creative journey. Fred felt his greatest accomplishment next to his family was his longstanding friendship within the artists’ community. Fred’s legacy continues in his family, who stand by his commitment to the arts and artists alike. He will be missed greatly by all those who he touched.